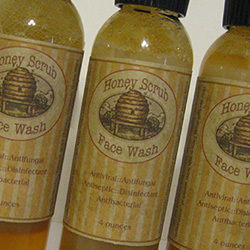 Inspired by the great success of our Honey Scrub Face Wash in dealing with skin problems, such as psoriases, eczema, acne on the back and other skin ailments. 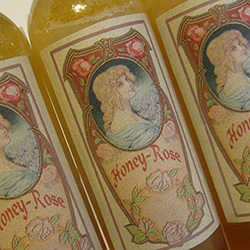 This formula has been adjusted more to using in the shower and not being so thick…a little less honey, and more organic baby mild castile soap. Anti-viral, anti-fungal, anti-bacterial. This has the advantage in that if you have problems in the scalp, you can apply like a shampoo when getting into the shower – let sit for 5 or so minutes and rinse out. For bad scalp sores, apply a small amount to the actual spot and let dry, and will coat like a liquid band-aid and speed up healing. This is extremely concentrated – a little bit goes a long way. 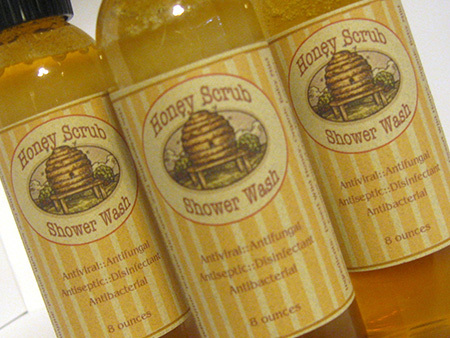 Great when used with our Exfoliating Gloves! Just $4.00 more.